Crowe recently launched a firm-wide charity initiative to support the wonderful local community resource centre St. Andrews. 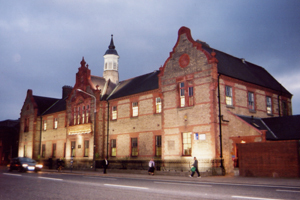 St. Andrews was initially a school for over eighty years before being converted into resource centre serving the local parishes of Westland Row and City Quay. St. Andrew’s offer invaluable support to young and old in an ever-expanding role in the life of the community it continues to serve. The Crowe staff Community Impact Initiative is part of our ongoing 2017 CSR programme, which includes regular blood drives and a Christmas appeal in support of the homeless. Staff from Crowe aim to raise in excess of €10,000 to help fund the purchase of a new bus of the centre so they may continue to reach out to the more vulnerable and isolated members of the community they serve. 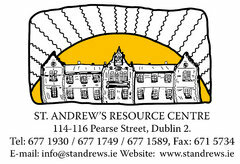 If you would like to help support the work carried out by St. Andrews, you can find details on their website, or contact Evelyn Heron if you would like to support the Crowe & St. Andrews fundraising drive.